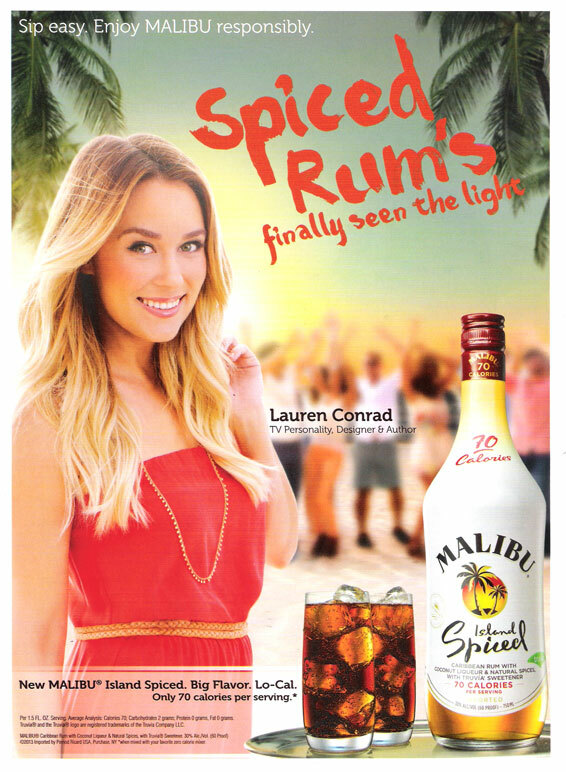 Lauren Conrad (born 1 February 1986 in Laguna Beach, California), is an American TV personality and fashion designer. She became famous when starring on MTV reality show Laguna Beach: The Real Orange County and The Hills. She is an author and designer with her fashions selling at Kohl's, and the face of Malibu Island Spiced rum (2013).